It’s an invasion! 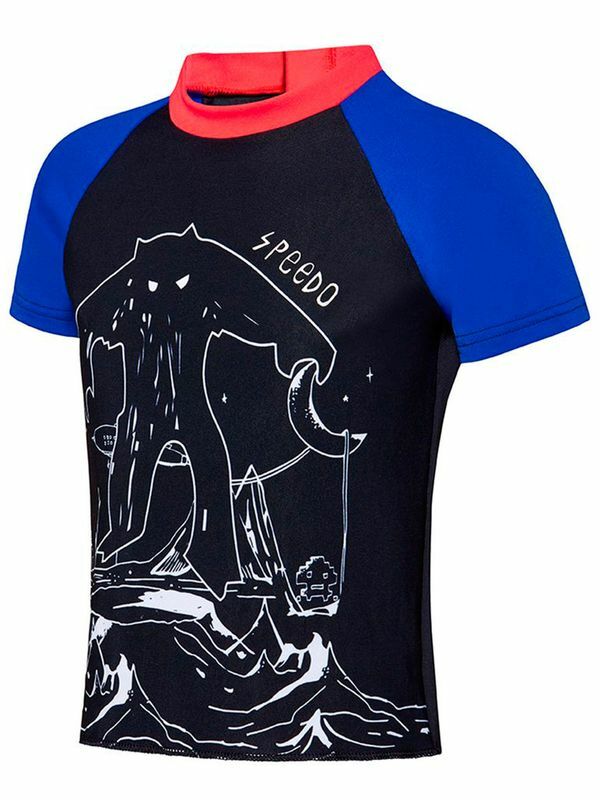 If your little swim monster loves a scary look, he is going to scream for the jet black Speedo Invasion Toddler Boys’ Short Sleeve Suntop! This bold look features a crazy comic design with navy sleeves and a bold cherry accent collar. Our fave swimwear company started way back in Bondi Beach near Sydney, Australia in 1928. With comfortable and cool looks like the Speedo Invasion Toddler Boys’ Short Sleeve Suntop, Speedo quickly became the world's number one selling swimwear brand. Made by swimmers for swimmers, each one of their looks is more impressive than the last! Invasion Toddler Boys Sun Top manufactured by Speedo Swimwear the worlds leading swimwear brand. Speedo is passionate about life in and around the water, creating revolutionary new technologies, designs and innovations.